It's official. Rad burgers easily accessible in my O.G. LA stomping grounds. 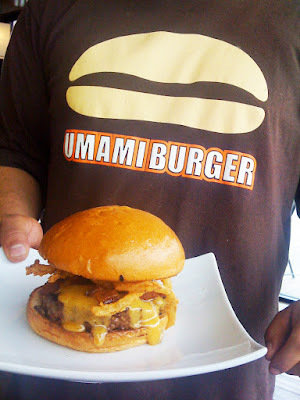 Umami Burger opened its hotly anticipated second location Friday in Los Feliz, a 50/50 collaboration between Umami's Adam Fleischman and restauranteur Steven Arroyo in the former Cobras & Matadors space on Hollywood Boulevard. The attached bar Salaryman is open serving a selection of Japanese beer.